Former Chelsea midfielder John Obi Mikel was forced to pay a ransom of 10 million naira (€23,800) to have his father released by armed kidnappers. Mikel was informed of his father's abduction just hours before Nigeria's final World Cup group game with Argentina. A family member called him and told him that he had to call the kidnappers on a designated number. When Mikel did so, he was ordered to pay a ransom. Pa Michael Obi was released after a week in captivity and is currently receiving emergency treatment in hospital. It is the second time that he has been kidnapped, with the first one being in August 2011. "Michael Obi, the father of the (Super) Eagles captain, has regained his freedom," the spokesman for Enugu state police in southeast Nigeria, Ebere Amaraizu, said late Monday. 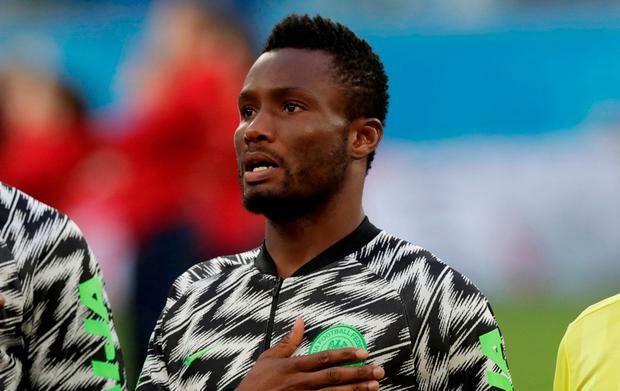 Mikel told no one in the Nigerian FA about his ordeal and he played in the 2-1 defeat to Lionel Messi's Argentina that saw the Africans exit the tournament. He told the Guardian: “I played while my father was in the hands of bandits. "I had to suppress the trauma. I took a call four hours before kick-off to tell me what had happened. "I was emotionally distraught and I had to make the decision about whether I was mentally ready to play. I was confused. I did not know what to do but, in the end, I knew that I could not let 180 million Nigerians down. I had to shut it out of my head and go and represent my country first. I could not even inform the coaches or NFF staff and only a very tight circle of my friends knew. "I was told that they would shoot my dad instantly if I reported to the authorities or told anybody. I also did not want to discuss it with the coach [Gernot Rohr] because I did not want my issue to become a distraction to him or the rest of the team on the day of such an important game. As much as I wanted to discuss it with the coach, I could not. "Thankfully, my father was safely released on Monday afternoon. I thank the police authorities for their rescue efforts and the support I’ve received from friends and family members. Unfortunately, my dad is now in hospital receiving emergency treatment as a result of the torture he received during his capture." Is Lionel Messi still 'The Greatest' without World Cup success?